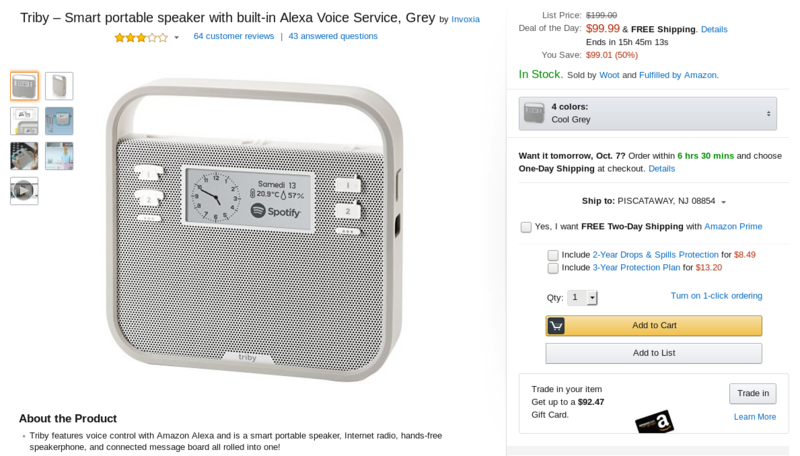 There are more and more Alexa-powered speakers available but affordable ones are still a little difficult to find. The Echo Dot remains one of the best options at $49.99, but it constantly requires a power source. You could grab a portable charger for it, but if you don't want to spend money on a make-do solution, today's deal on the Triby might seem much more interesting. Triby is a portable speaker with voice-activated Amazon Alexa integration. It is charged via MicroUSB and lasts up to 2 days, so you can move it along with you from the kitchen to the bedroom to the balcony and not worry about power cords. 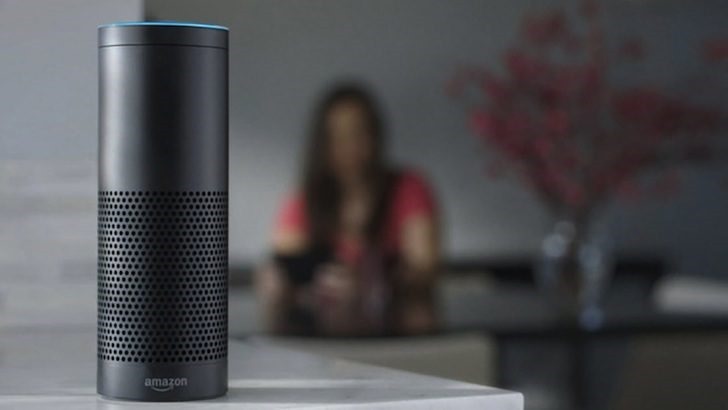 Late last year, Amazon started to allow hobbyists and developers to integrate the Alexa virtual personal assistant into their own products through the developer preview of Amazon Voice Service. 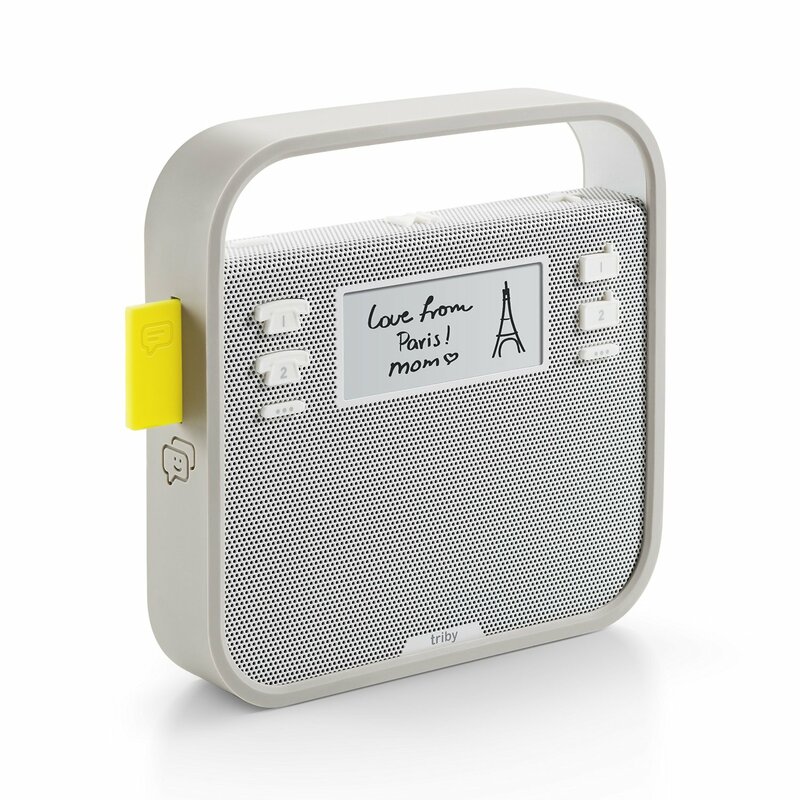 This effort has already borne fruit with Invoxia's Triby. 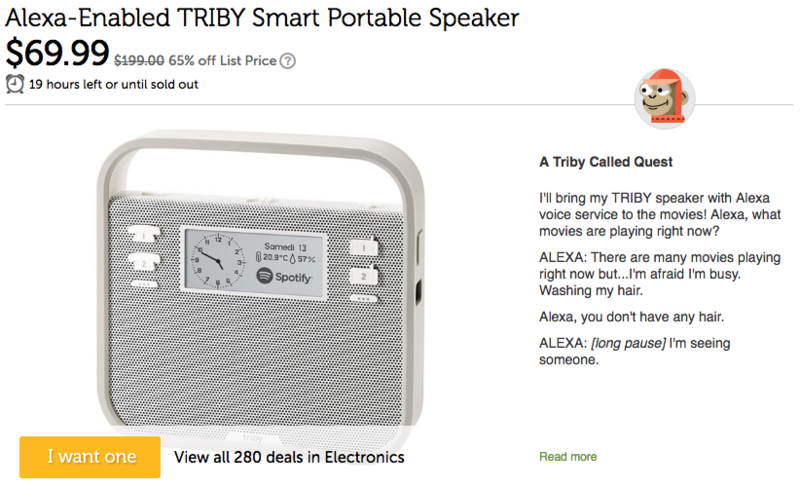 Looking a bit like an FM radio from yesteryear, the Triby immediately loses points in the looks department, especially when compared to the sleek, futuristic aesthetic of the Amazon Echo. It packs a magnetized back, allowing you to attach it directly to any metal surface, such as a refrigerator or knife rack, as well an E-Ink display for showing messages and notifications. Not only can it be controlled through voice commands, but there's also an official companion application available for Android and iOS.